Earth Day – Reserve your tree now! 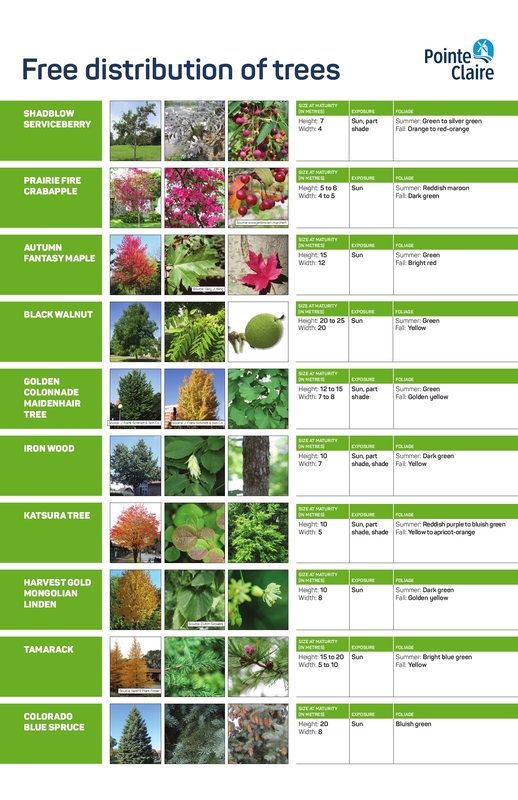 A reservation form is now available for you to choose your tree species and avoid the wait at the Public Works Yard on Saturday, April 27. The first 100 people to reserve a tree online can also get a free rain barrel. You can pick up your tree and barrel during Earth Day on April 27 at any time between 8 a.m. and 4 p.m.
Join us on April 27 and 28 for the many activities planned for Earth Day. It’s an opportunity to help protect our environment.